Trainwreck (2015) – WHO IS THE MAN FROM KRYPTON? ‘Trainwreck’ is a breath of life into what I consider to be a genre that is getting worse every year, romantic comedies. It is not only a very funny film, it also puts a spin on what most romantic comedies focus on, in which a near-perfect girl falls for a slobby/laid-back guy and it becomes a will-they, won’t-they. Now on paper, just reversing those roles doesn’t seem like it would make that much of a difference, but thanks to the phenomenal performance from Schumer, it really makes the whole film stand out from the crop and shine above most standard romantic comedies. The script is so brilliantly simplistic that it draws you in and allows you to truly believe this story and while the script unfortunately is slightly bloated and the story is pretty generic and has a few questionable scenes, it still stands out as being something very special, in part due to the great dialogue. 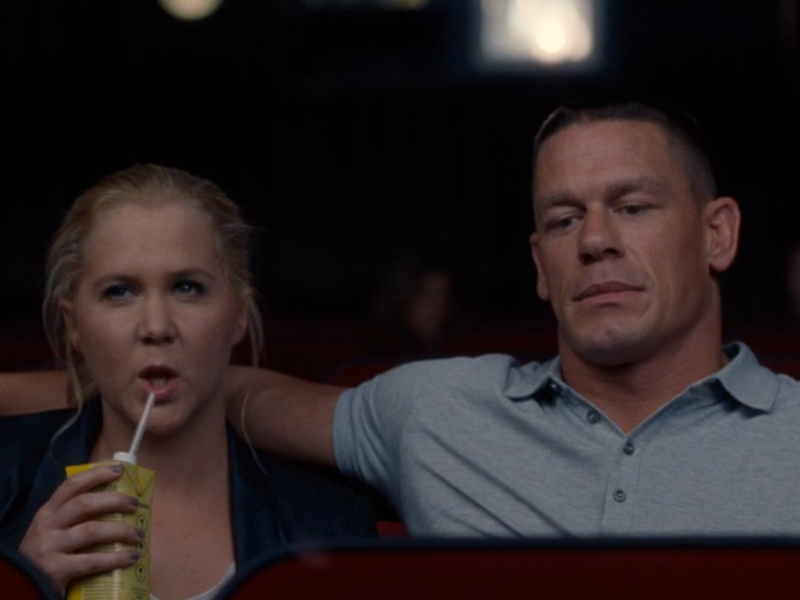 The performances are where this film truly shines, everyone in this film is hilarious and has their time to shine, especially Schumer who feels so natural at being vulnerable yet with a true charm about her that is pretty hard to get across on screen without seeming forced, but with her it just works. Bill Hader is another story, nothing was wrong with his performance but with him playing the straight guy to Schumer’s wacky girl, it was different for him and he definitely made the part his own, he also had a lot of funny moments in which he obviously excelled. The film was also shot fantastically, honestly this might be Apatow’s best work yet. There was still a few questionable shots and one in particular that stank of generic rom-com shots that, for a moment pulled me out of the film entirely, but the rest of the film is gorgeous. The varying amount of shots used, again, really helps the film to stand out from the pack and raises the overall quality of the film as a whole. Average runtimes of romantic comedies are around 90 minutes, ‘Trainwreck’ comes in at 125 minutes, and despite there being a slight sag at a little over the halfway mark, the film flies by with not only great jokes but also with a story to tell, as generic as the story is.